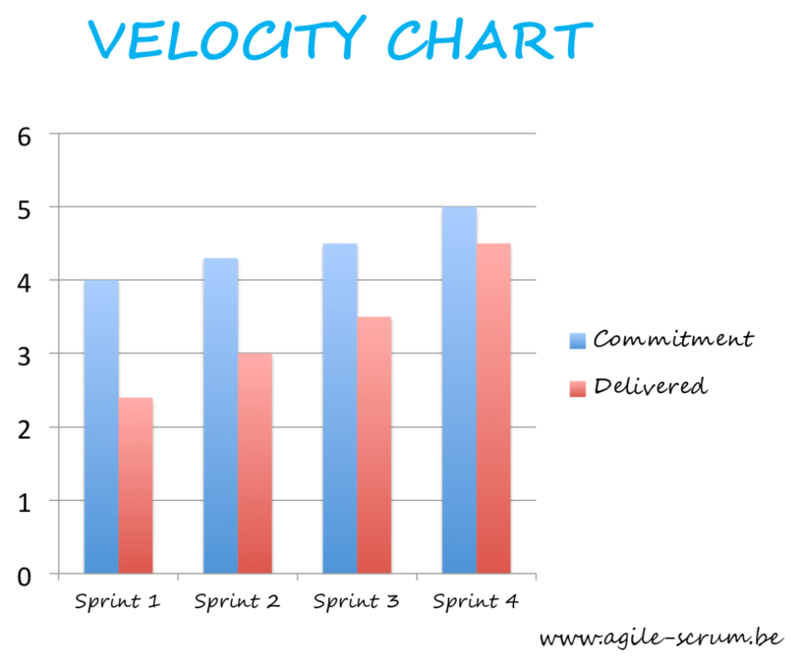 The concept of velocity can be easily explained. The main purpose of the velocity chart is to overview how much work has been delivered for each sprint. It will help you to have a clear view on future perspectives and on the workload of your team. To estimate this metric, to calculate it, you need to define the units of work for each task and how long is each interval (the time). During the sprints every member of the team should communicate on the tasks that have been finished or completed. And at the end of the interval that we want to analyze the completed number of units of work are counted. If we apply this formula, we will have one of the most important metrics for Scrum methodology, velocity of work flow.